Greenbackd is a blog dedicated to deep value, contrarian, and Grahamite investing. 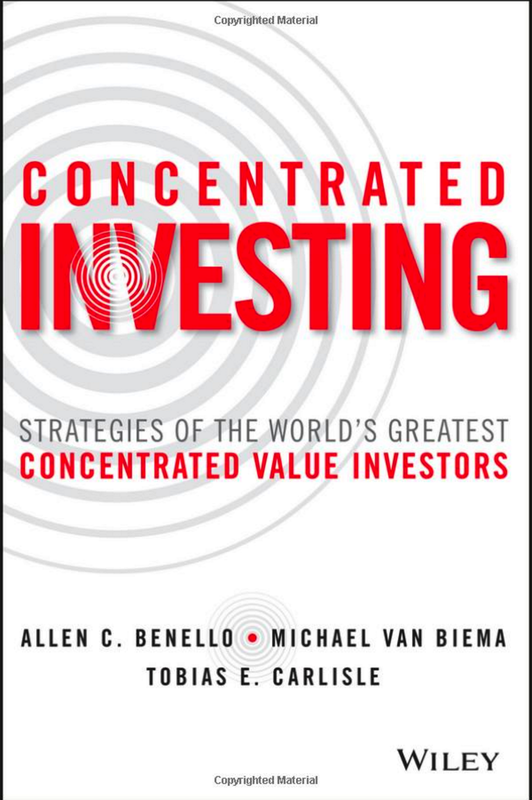 Research featured in the books Deep Value: Why Activist Investors and Other Contrarians Battle for Control of Losing Corporations (hardcover, 240 pages, Wiley Finance, 2014) and Quantitative Value: A Practitioner’s Guide to Automating Intelligent Investment and Eliminating Behavioral Errors (hardcover, 288 pages, Wiley Finance, 2012) demonstrates that value strategies have in the past generated returns superior to the market through various market cycles. We also show that stocks trading at a discount to value, whether that value is determined on the basis of net current asset value, liquidation value, book value, or earnings, EBIT and EBITDA, or cash flow multiples, have market-beating form, and at lower risk than the market. Note that I define “risk” in the traditional value investing sense of the word, meaning the possibility of a permanent loss of capital, and not as volatility. Greenbackd is so called because it was initially solely devoted to stocks trading at a discount to net cash value (stocks backed by a surplus of Greenbacks, hence “Greenback’d”), net current asset value, negative enterprise value, or liquidation value. I believe that a systematic, disciplined and long-term application of deep value, contrarian, and Grahamite investment strategies, combined with sensible risk management practices, should meet Benjamin Graham’s requirements for a sound investment operation, providing reasonable safety of principal, and an adequate return. I pursue the “value” method of investment described by Benjamin Graham in his magnum opus, Security Analysis. Tim Loughran and Jay W. Wellman in their 2009 paper “The Enterprise Multiple Factor and the Value Premium,” published as, “New Evidence on the Relation Between the Enterprise Multiple and Average Stock Returns,” found that the enterprise multiple, calculated as (equity value + debt value + preferred stock – cash)/ EBITDA, is better than book-to-market in cross-sectional monthly regressions over 1963-2008. In the top three size quintiles (accounting for about 94 percent of total market value), the enterprise multiple is a highly significant measure of relative value, whereas book-to-market is insignificant. Roger Ibbotson, a Professor in the Practice of Finance at Yale School of Management and President of Ibbotson Associates, Inc., a consulting firm specializing in economics, investments and finance, published a study called “Decile Portfolios of the New York Stock Exchange, 1967 – 1984,” Working Paper, Yale School of Management, 1986, in which he studied the relationship between stock price as a proportion of book value and investment returns. Ibbotson found that stocks with a low price-to-book value ratio (“value” stocks) had significantly better investment returns over the 18-year period than stocks priced high as a proportion of book value (“Glamour” or “Growth” or “Story” stocks). A further study conducted by Werner F.M. DeBondt and Richard H. Thaler, Finance Professors at University of Wisconsin and Cornell University, respectively, examined stock price in relation to book value in “Further Evidence on Investor Overreaction and Stock Market Seasonality,” The Journal of Finance, July 1987. DeBondt and Thaler ranked all companies listed on the NYSE and AMEX, except companies that were part of the S&P 40 Financial Index, according to stock price in relation to book value and then sorted them into quintiles on December 31 in each of 1969, 1971, 1973, 1975, 1977 and 1979. DeBondt and Thaler then calculated the investment return against the equal weighted NYSE Index over the subsequent four years for all of the stocks in each selection period. The four-year returns against the market index were then averaged. DeBondt and Thaler found that the “value” quintile generated a cumulative average return in excess of the market index over the four years of 40.7 percent. 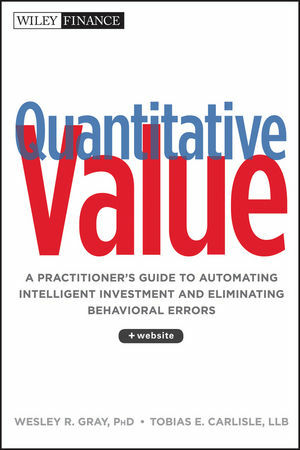 We discuss the returns to various value ratios, including some unusual long-term average and combination ratios, in the book Quantitative Value: A Practitioner’s Guide to Automating Intelligent Investment and Eliminating Behavioral Errors. Value investors seek to exploit the suboptimal behavior of the typical investor by acquiring securities that have suffered significant declines in earnings or prices. Research demonstrates that such strategies produce superior returns because most investors don’t fully appreciate the phenomenon of “mean reversion,” which leads them to extrapolate past performance too far into the future. “Mean reversion” is the observation that significant declines (increases) in earnings or stock prices are followed by significant earnings or stock price increases (declines). Value vs Glamour: A Global Phenomenon is a recent paper by The Brandes Institute updating Contrarian Investment, Extrapolation and Risk, the landmark 1994 study by Josef Lakonishok, Andrei Shleifer, and Robert Vishny. It investigates the performance of value stocks (defined as the lowest decile of stocks by price-to-book) relative to that of glamour securities in the United States over a 40-year period, and extends the scope of the initial study to include non-U.S. markets, to determine whether the value premium is evident worldwide. They conclude that value stocks tend to outperform glamour stocks and by wide margins. To avoid engaging in the suboptimal investor behavior discussed above, I favor a simple statistical or quantitative model to identify securities meeting my investment criteria. Research suggests that such simple statistical models consistently outperform expert judgements, even when experts are provided with the models’ predictions. Models outperform because humans are overconfident, biased, and suffer from “inertia”. For more, please see my see my white paper “Simple But Not Easy: The Case For Quantitative Value“ and the accompanying presentation to the UC Davis MBA value investing class. I have developed a proprietary investment model to rank the universe of undervalued and out-of-favour securities on factors that I believe to be predictive of future returns. I continuously refine the model, although the basic deep value and contrarian philosophy does not, and will not, change. The content of that model is discussed in in the book Quantitative Value: A Practitioner’s Guide to Automating Intelligent Investment and Eliminating Behavioral Errors (hardcover, 288 pages, Wiley Finance, December 26, 2012). The market for corporate control acts to catalyze the stock prices of underperforming and undervalued corporations. Participants in the market for corporate control—strategic acquirers, private equity firms, and activist hedge funds—must pay a control premium to acquire corporations. Studies suggest that acquirers tend to overpay for corporate control. Indeed, the conventional wisdom in the market is that the only way to successfully complete a takeover is to overpay. The premium paid for control is often so great that it eliminates the acquirer’s opportunity for even a par return—a phenomenon known as the “winner’s curse.” Rather it is the target shareholders at the time of the bid who enjoy the largest gain. Greenbackd seeks to systematically target stocks at the largest discount from their full change-of-control value with the highest probability of undergoing a near-term catalytic change-of-control event. Ramius Capital’s whitepaper, The case for activist strategies, seeks to explain how activist investment strategies create shareholder value and improve corporate governance by resolving conflicts of interest between shareholders, directors and management. For more about catalysts and the market for corporate control, please see my white paper Hunting Endangered Species: Investing in the Market for Corporate Control. My name is Tobias Carlisle. I am the founder of Carbon Beach Asset Management, LLC. Carbon Beach pursues a deep value, contrarian, Grahamite investment strategy based on the research featured in the books Deep Value: Why Activist Investors and Other Contrarians Battle for Control of Losing Corporations (hardcover, 240 pages, Wiley Finance, 2014) and Quantitative Value: A Practitioner’s Guide to Automating Intelligent Investment and Eliminating Behavioral Errors (hardcover, 288 pages, Wiley Finance, December 26, 2012), and discussed on Greenbackd. I have extensive experience in activist investment, company valuation, public company corporate governance, and mergers and acquisitions law. Prior to founding the forerunner to Carbon Beach, I was an analyst at an activist hedge fund, general counsel of a company listed on the Australian Stock Exchange, and a corporate advisory lawyer. 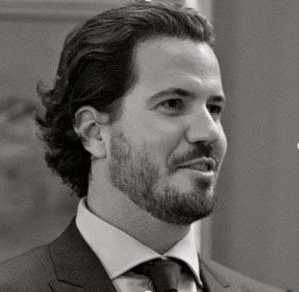 As a lawyer specializing in mergers and acquisitions I have advised on transactions across a variety of industries in the United States, the United Kingdom, China, Australia, Singapore, Bermuda, Papua New Guinea, New Zealand, and Guam. I am a graduate of the University of Queensland in Australia with degrees in law and business (management). I can be contacted at greenbackd [at] gmail [dot] com. I welcome all feedback. Connect on LinkedIn, where we’re Friends. I’ve disabled the comments for this page. If you have a stock you want me to review, general comments about the site or my methodology, want to complain or spit ball about the universe in general, please visit the Tips page here.